Please promise me you won’t judge me when you look at the pictures in this post. Okay? Please don’t judge me! Okay? 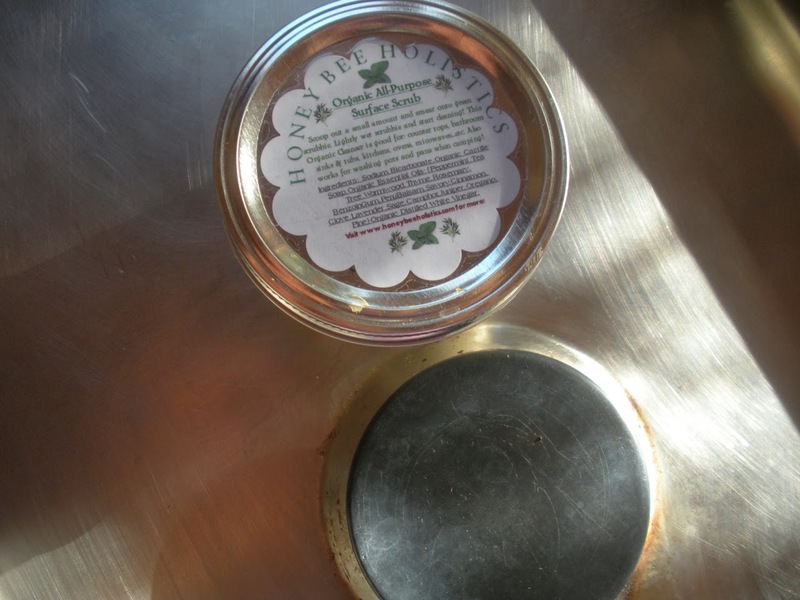 This post is about cleaning with Honey Bee Holistic’s Organic All-Purpose Surface Scrub. Now, let me first tell you that I am the daughter of a German mother. A mother whose mission in life is to clean, and then to clean some more. Things were spotless when I grew up. I don’t know how she managed this with four kids in the house. I have three kids and a farm, with lots of soil and dirt and manure. I should be the one concerned about cleaning. The sad truth is: I am not obsessed about cleaning. I wish I were, but I do realize that if I took my home making duties as far as my mother did, I would be hospitalized in a mental institution. While my house is reasonably hygenic, it’s very messy and untidy. I put one thing away, and my four-year-old drags it out on the carpet ten seconds later. I make a home cooked meal from scratch every night, and after cleaning the pots and pans and dishes, the next day still looks like a bomb detonated in my kitchen. Every now and then, I dust in the living room. Then my husband makes a fire in the wood stove, and dust gently spreads all over everything immediately. Do you see what I’m saying? I give up. So let’s talk about my stove. 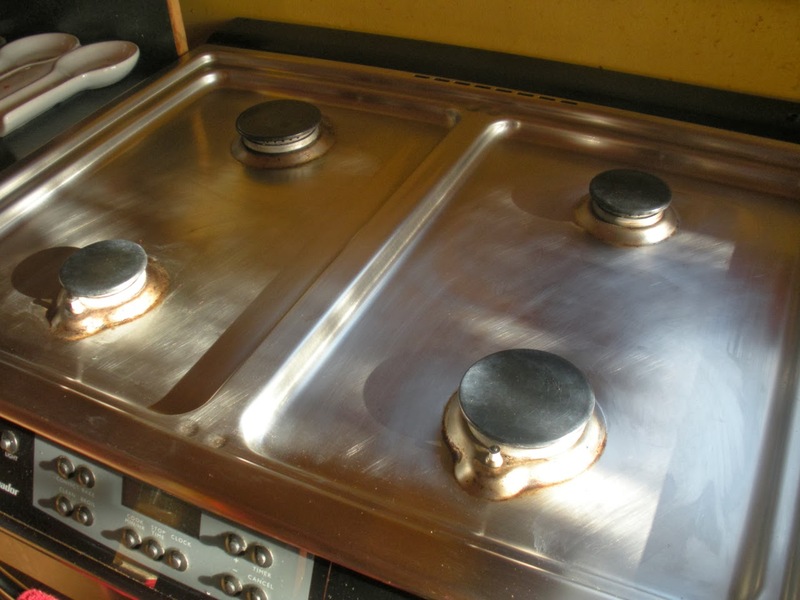 It’s a very nice stove, stainless steel and heavy duty. I cook on it a lot, and I take pride in creating nourishing meals for my family. You can imagine what this workhorse looks like, what with all the stuff that drips down and boils over. 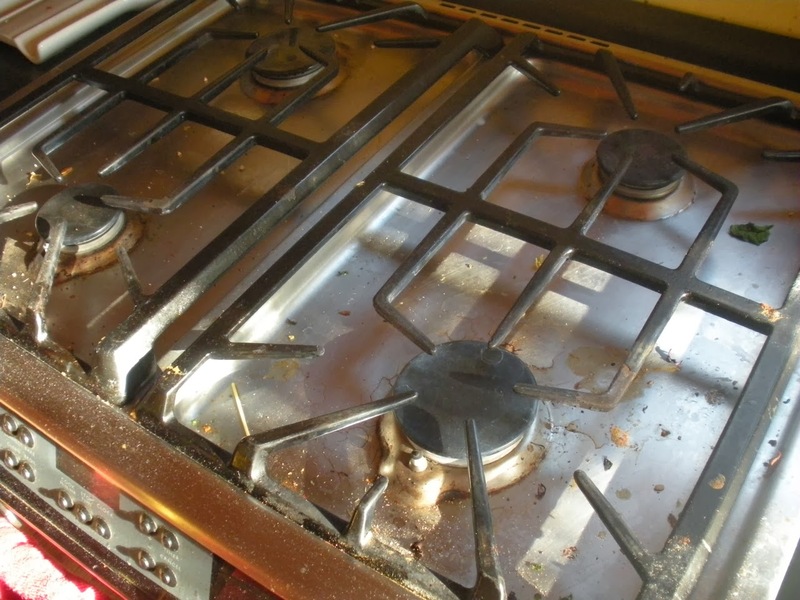 Cleaning the stove is one of those things I don’t like to do because it is such a futile activity. It’s so hard to do and takes a lot of elbow grease. 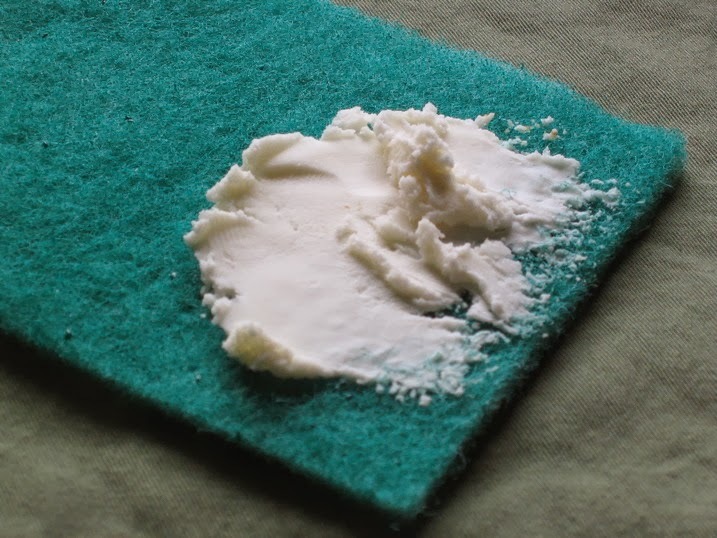 I don’t like the standard cleaners you buy at the store, with all their harsh ingredients and chemical smells (another excuse not to clean the stove!). So when Honey Bee Holistic came up with her all purpose surface scrub, I resolved to make my oven look like new. This is what I started with. Yucky, I know. Don’t judge me, okay? This scrub has only natural ingredients in it, and a total of 16 essential oils, if I counted right. It smells awesome! It’s like cleaning in a garden scented with peppermint, thyme, rosemary, lavender, oregano, pine…. It comes in a cute little mason jar with a pretty sticker on top and looks like a paste. It’s not gritty, but smooth, and I wanted to lick it, it looked so appetizing. I can’t believe how gentle it was on the stainless steel. 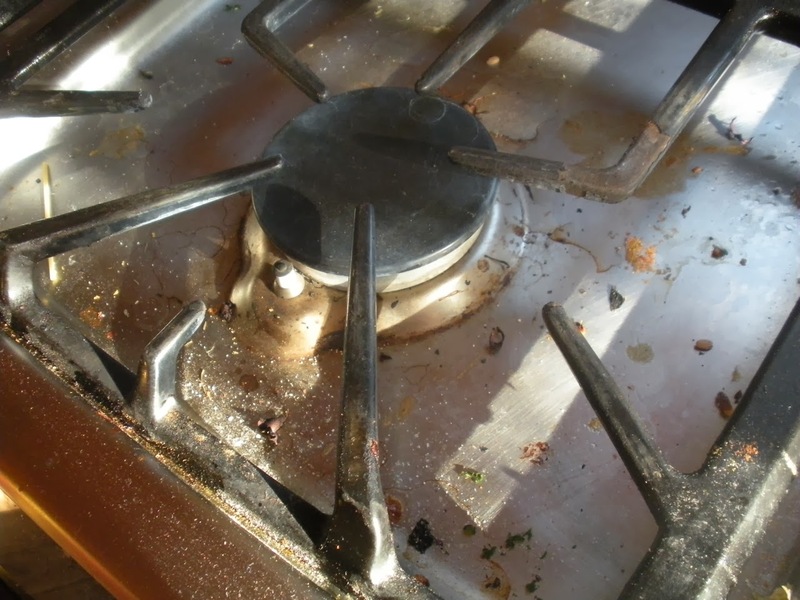 Previously, when I cleaned the stove with a scrubbie, it left fine scratches on it, which are still there. 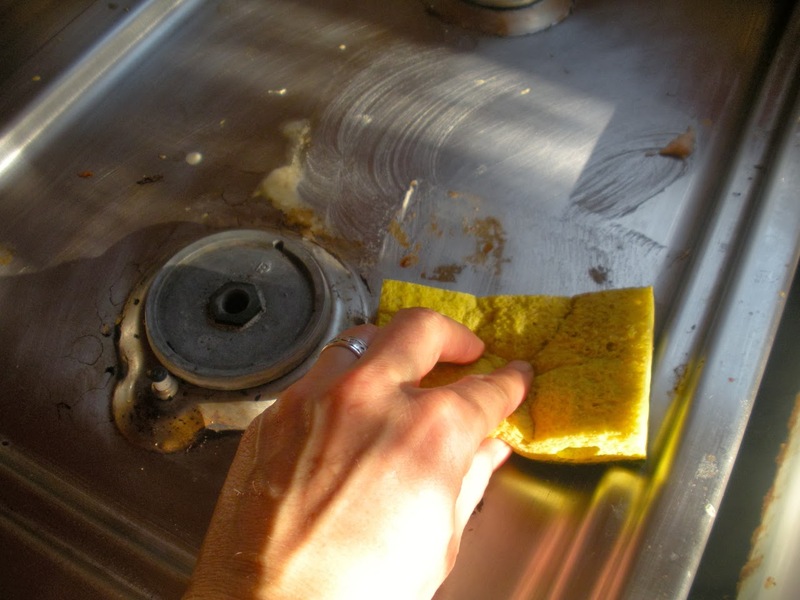 But using this cleaner, it didn’t scratch at all – neither the stainless steel nor my skin. That’s right: I didn’t wear gloves, because I really wanted to feel everything in order to write a thorough review. Maybe Melissa should market this scrub as an exfoliant for hands? Okay, I am getting carried away here. 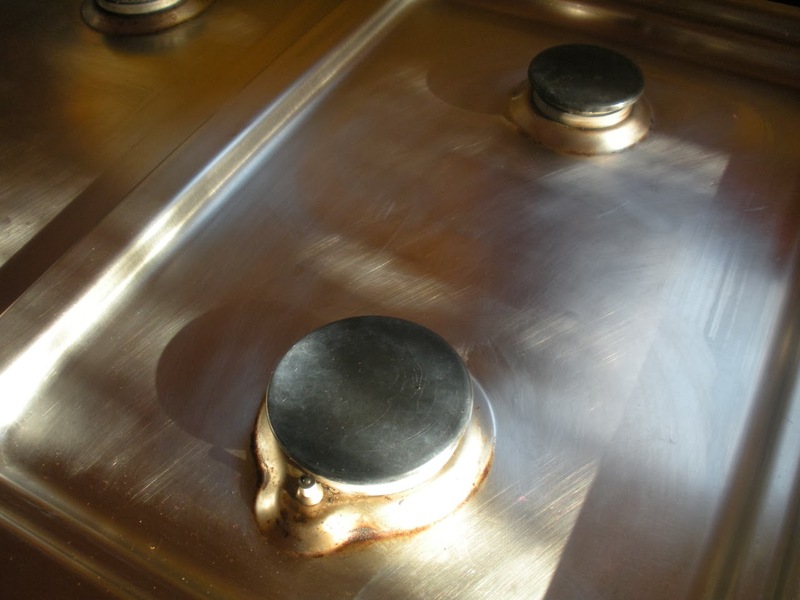 I want to show off my “new” stove, looking clean, smelling clean, and oh-so-shiny! My mother would be proud of me. This is now officially my new miracle cleaner. Believe me, it’s a big deal to get someone like me excited about cleaning! I love this stuff. You will, too, even if you don’t like cleaning. NOW for YOUR chance at snagging a jar of your own!! Follow the entries below to get entered to WIN one of your own jars!! This would come in VERY handy to all of us who are cleaning for the Holidays before company comes to visit! !